Did you know that Kid’s Clothes Week is coming up again soon? Meg is stopping by to tell us all about the next season. Take it away Meg. If you love to sew kid’s clothes, I hope by now you’ve heard of Kid’s Clothes Week. KCW is a sewing challenge where you commit to sewing clothes for your kids one hour a day for seven days. It happens four times a year–once each season–and it’s super fun to sew along! Each season we choose a theme and sew clothes based on that theme. You can of course choose to sew whatever you wish, but it is fun to narrow down your to sew list a bit–especially when you want to “sew all the things!” This fall’s theme is DISGUISE. 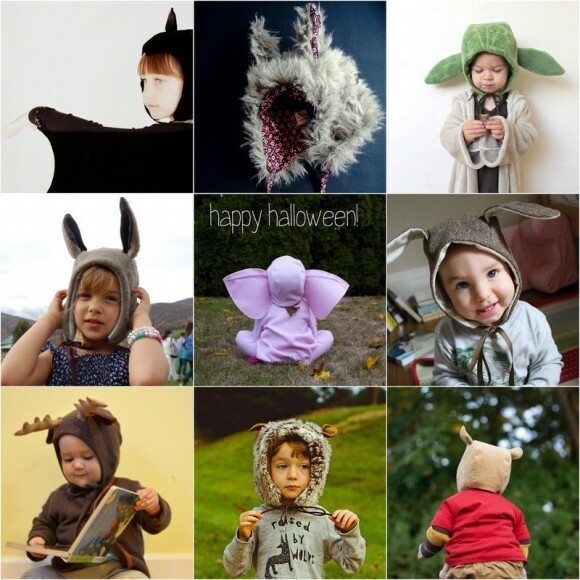 Our amazing contributors have come up with a ton of ideas on how to use the theme: from disguises your kids can wear everyday to pockets disguised as kitten or sharks! Oliver + S patterns have always been a great starting point for good disguises. The patterns are simple enough to customize (or should I say costume-ise!) and durable enough to be worn over and over again. That can hardly be said for the super thin, super flimsy, and super pricey costumes you can buy. I chose a few of my favorite costume-ised Oliver + S pattern (pictured below). I love that some of them were even sewn during past KCWs! 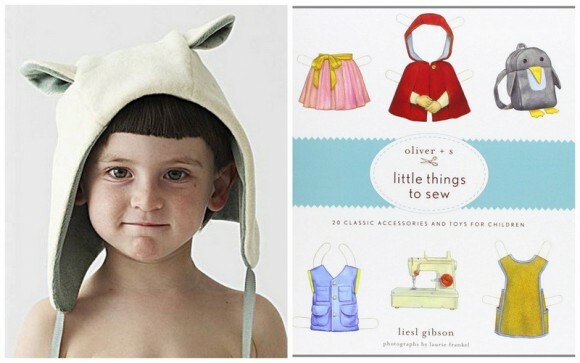 The best Oliver +S pattern for disguises has to be the Cozy Winter Hood from the book Little Things to Sew. Who can resist a hat with ears? Bat ears, bear ears, yoda ears, even elephant ears! The cozy winter hood pattern works for all kind of disguises. Change the fabric to a pretty lawn, lengthen the ears, and you have a sweet spring bunny bonnet (for those down under). Grab some white sherpa and black felt and you’ll have a cute panda hat that will be warm enough to wear all winter long. Whatever disguise your kid can dream up, you can sew it! 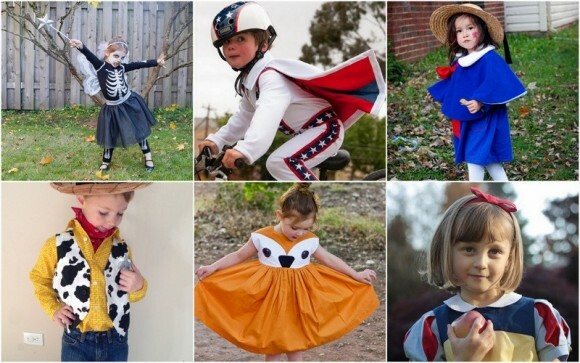 You might just get it done in time for Halloween if you sign up for Kid’s Clothes Week. It’s coming up quick: Oct. 19-25. Sign up now! Grab a button for your blog or social media sites and get everyone you know to sew this KCW! Hi Meg! I can never resist sewing along with KCW. If only it had been three weeks earlier as I’ve just finished disguising the kids as animals. Still I’ll sew something for sure, even if not on theme. Thanks for featuring my Evel Knievel costume. My daughter fits into it now and it’s even funnier on her!